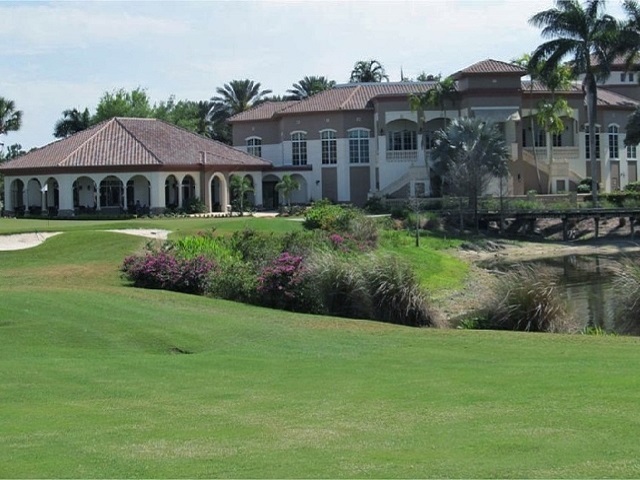 Located on Bonita Beach Road just east of I-75, Palmira Golf & Country Club is nestled on 318 acres of lush tropical paradise. Here you will find European styled neighborhoods linked by the tree lined boulevards that wind through the club’s rolling fairways, fountains, lakes, and nature preserves. With something for all, residences range from a wide selection of single family homes to a variety of coach homes, many with stunning fairway, lake and preserve views. The single family homes range from 1,800 to 2,406 square feet with two to four bedrooms plus a den and a two to a six car garage. The coach homes range from 1,523 to 2,654 square feet with two to three bedrooms plus a den and a two car attached garage. At the heart of Palmira is its elegant two story, 41,000 square foot clubhouse. Featuring gourmet dining, casual and formal restaurants, a fireside lounge, card, billiards, and computer and meeting rooms, it is a great place for an evening out or to relax after a round of golf. Amenities include seven lit Hydor-Grid clay tennis courts, a 2,800 square foot heated lagoon-style swimming pool with waterfall and whirlpool spa, a 75 foot Olympic lap pool, a poolside village grill and tiki bar and a fully staffed state of the art fitness center. Palmira´s highly acclaimed Golf Club features a 27 hole championship course designed by Gordon Lewis. Playing to a par of 72 from any two nines, and up to 7,403 yards, it is home to the Palmira Open. The course features very large greens that require attention to pin placement, strategically placed water hazards and well placed bunkers. It is visually stimulating with picturesque lakes, lush landscaping, bridges and boardwalks and is a fair test to all. Five sets of tees, TifEagle greens, a state-of-the-art pitching and putting area and expansive practice range complete the package. 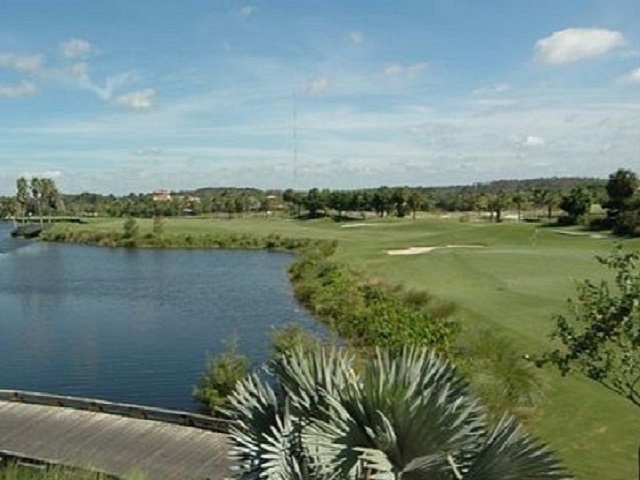 Palmira is an equity club and offers both golf and social memberships. If you are looking for an unparalleled life style, then Palmira may be just the place.